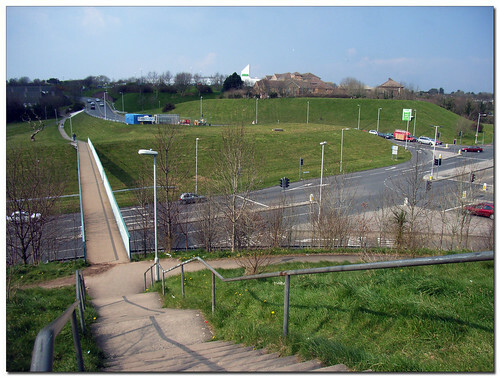 This is a very handy footbridge as it links Estover to Leigham. 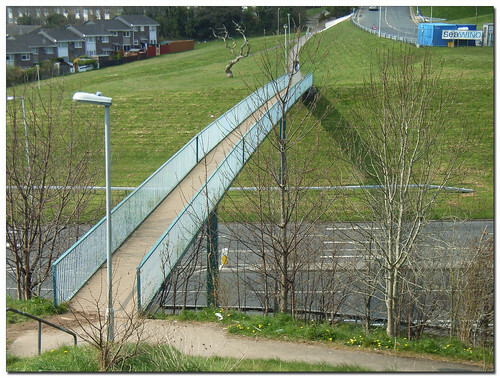 This bridge means we can take our son to school without having to walk along a busy main road or cross any busy roads at all. Its a nice elegant design to carry the footpath and is just down the road from the new road junction which was rebuilt a few years ago. I agree - very useful for the trip with friends to Mc D's - or the ski lodge.